إن فندق فندق أمورا جاميسون بموقعه الممتاز في Sydney CBD هو نقطة انطلاق جيدة لنزهاتك في سيدني. إن موقع الفندق الاستراتيجي، الذي يبعد 0.2 Km فقط عن مركز المدينة، يسمح للنزلاء بالوصول سريعاً وبسهولة إلى العديد من الوجهات المحلية المثيرة. بالنسبة لمن يريد الخروج، هذه بعض المعالم السياحية المتوفرة للزوار City Medical Practice, Specialist Clinics Of Australia, كنيسة فيليب. إن فندق أمورا جاميسون حريص على توفير الراحة للنزلاء، فلا يوفر الموظفون جهداً في تقديم أفضل الخدمات وضمان حسن الاستقبال. يمكن للنزلاء الاستمتاع بالميزات التالية: خدمة الغرف على مدار الساعة, واي فاي مجاني في جميع الغرف, خدمة التنظيف يوميًا, مكتب الاستقبال على مدار الساعة, مرافق مخصصة لذوي الاحتياجات الخاصة أثناء إقامتهم في هذا المكان الرائع. تنعكس أجواء فندق أمورا جاميسون في غرف الضيوف.تلفزيون بشاشة مسطحة, سجاد, رف للملابس, قهوة فورية مجانية, شاي مجاني هي بعض الميزات الموجود في العديد من الغرف. كما أن مجموعة الخدمات الواسعة الموجودة في الفندق لضمان راحتك تترك لك الكثير من الخيارات لقضاء وقتك أثناء فترة إقامتك. مهما كانت أسبابك لزيارة سيدني، فإن فندق أمورا جاميسون هو الخيار الأفضل لإقامة مثيرة وممتعة. يُرجى ملاحظة أن موقف صف السيارات ذاتيًا متاح بتكلفة إضافية لكل 24 ساعة. لا يمكن للفندق أن يكلف موظف صف السيارات بصف سيارات الدفع الرباعي والسيارات عالية الأداء، ويجب على مالكي هذه السيارات أن يصفوا سياراتهم بأنفسهم. يمكن الترتيب لمواعيد الانتقالات من وإلى المطار والطلبات الخاصة الأخرى من خلال الاتصال بالفندق مباشرةً. المرافق الإضافية هي أمر يخضع لرسوم إضافية. يطبق العقار سياسات صارمة بخصوص الحجوزات الجماعية. للحجوزات لعدد 10 غرف أو أكثر، يُرجى الاتصال بالعقار مباشرةً. 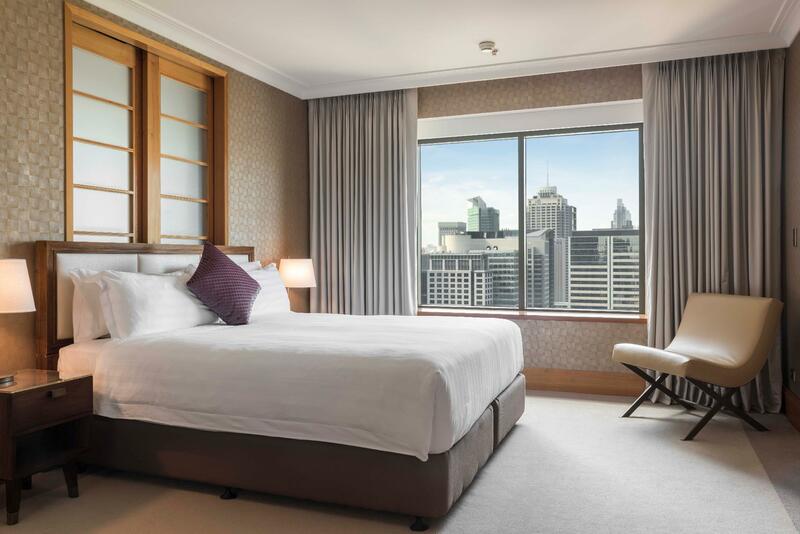 Amora situates right above Wynyard train station and you can access the station via MetCentre exit, which is just one minute walk from hotel lobby. Woolworths is also available inside MetCentre, making Amora a perfect place for transportation and buying stuffs easily. The atmosphere in Amora is quite good, and the room is spacious enough. 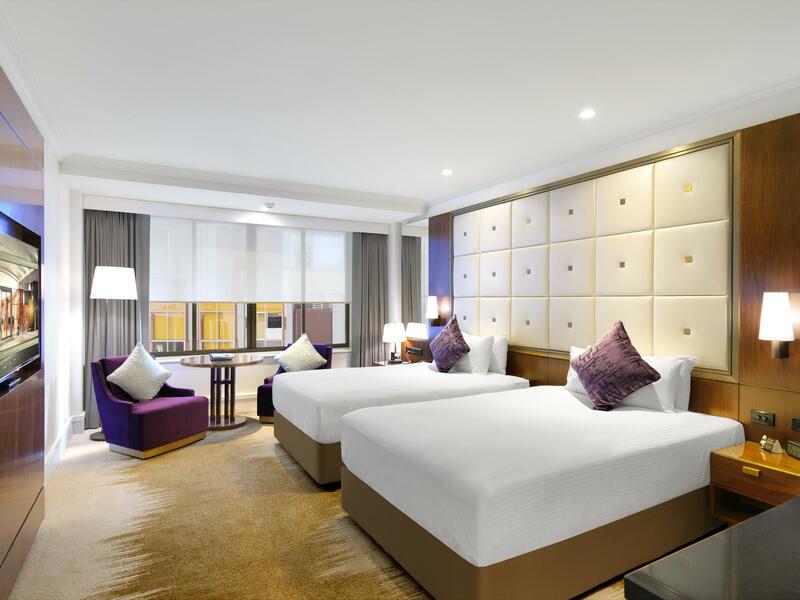 Comparing to other luxury hotels nearby, Amora can still provide decent quality of accommodation but with less expensive rate/tariff. Superb location. The deal that I had was awesome. Not easy to get such deal for such location and quality. Maybe because I reflecting back 8-9 years ago when it was almost new and refresh. But, now a little feeling run down, something missing... Not saying it was bad at all. I recommend if anyone is looking for comparably cheaper but good quality and location. 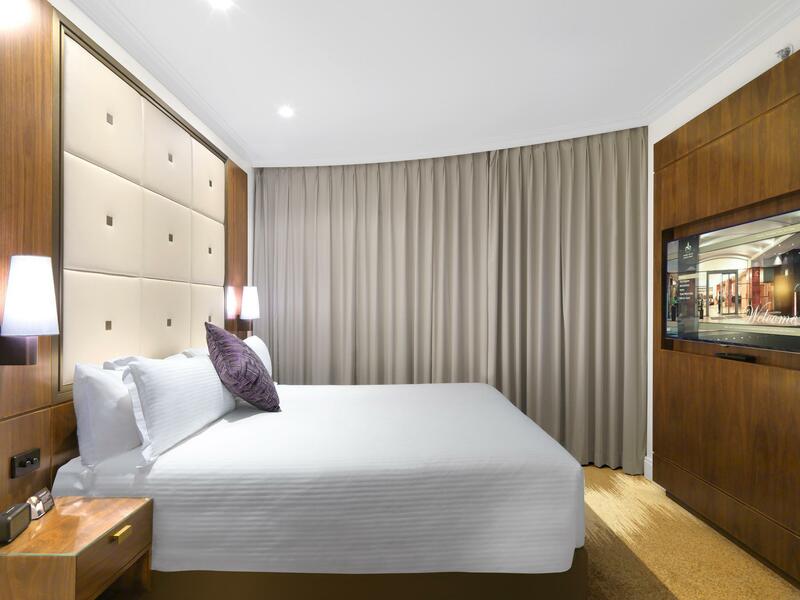 Close to 𝑪𝑩𝑫 within walking distance to circular quay, 20 min walk to Darling Harbour. Room a good size and bathroom with a bath as well as shower. Comfortable bed and buffet breakfast is good. Pool and jacuzzi good but busy during holiday period. There was only free water at the hotel the first night, after that it newer show up. We informed front desk the informe is somthing we has to ask about. But even we asked it newer show up for the 7 days we stayed there. Siple thing like shohorn and toothbrush was not there. 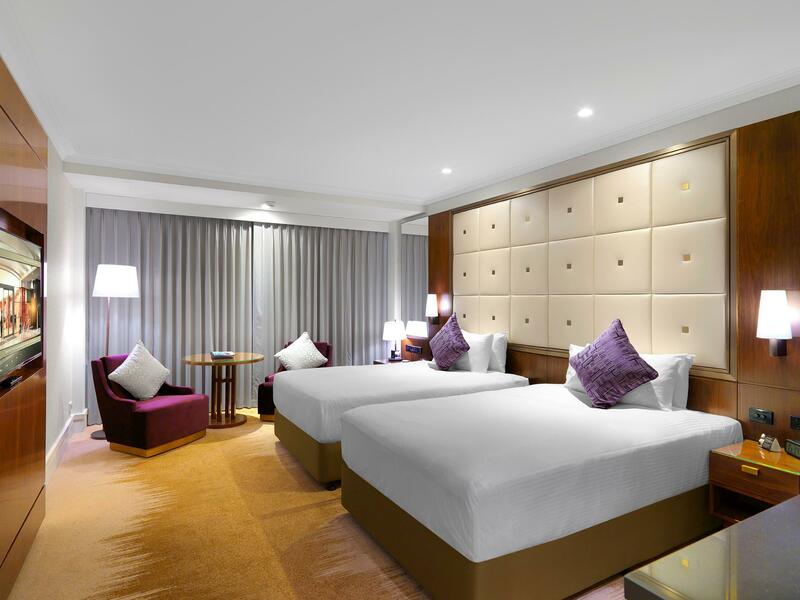 Price is to hight for this Hotel I will call it at 4 star. Location is good. This is our second stay at this hotel. We were upgraded at check in to a wonderful room. The staff were amazing and friendly. The best part was the bed, it was very comfortable and made the stay just that little more enjoyable.. Lookimg forward to our next stay. 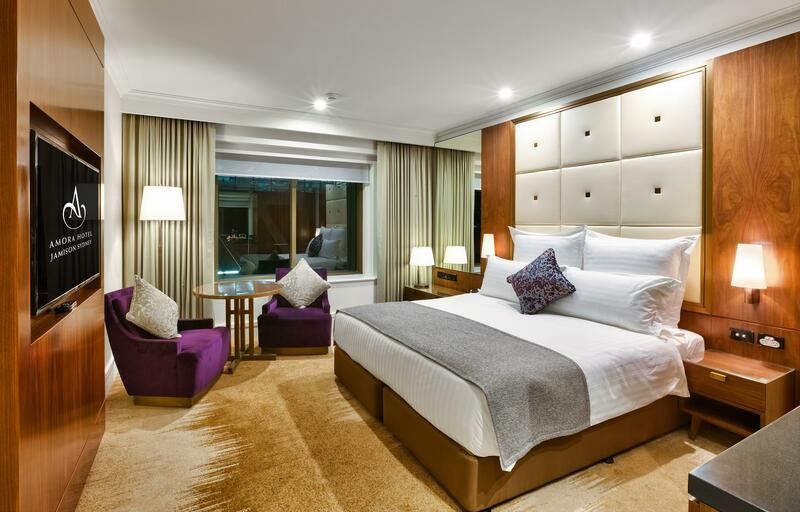 Centrally located on top of Wynyard station, this hotel offers good value for the location. Stares directly into the office buildings though but that's not a problem since Aussies bail from work at 5pm and on Fridays many floors were empty by 3pm. We stayed for the bathtub and got a bathtub as advertised. Stayed here multiple times, staff fantastic, room quality outstanding, bar is great to chill before a great feed in the very reasonably priced 5 star restaurant. Book this hotel, you will be thanking me. Location and friendly staff plus value for money. Breakfast was not so great maybe because it was weekend when we stayed for two nights? Gym is a bit congested and the indoor pool seem to small for 6 to 10 people. The corner room we stayed was spacious big toilet and bath. Overall recommendable and value for money. good hotel, well situated ; the pool and sauna, although small are very good and worth using . Not sure why they had people opening the front door though...it all seemed a bit un -necessary ; the beds are very comfortable. It located near Wynard station and there is a few bus stops nearby. We can walk to the major places(eg Darling Harbour ,Town Hall ,China Town)in 20-30 mins .We are happy that Hotel gave us the chocolate for Gift on Christmas Eve. Tv speakers are in the bathroom, when u watch tv, sounds come from the bathroom which is a bit odd as if u are listening to someone elses tv. No free bottle of water provided, thought ots pretty standard for 5star hotels. You have to ask for amenities like cotton buds, shower cap and stuff. Matresses were too soft, its a personal preference at the end of the day but it would have been better for me if it was a bit firmer. 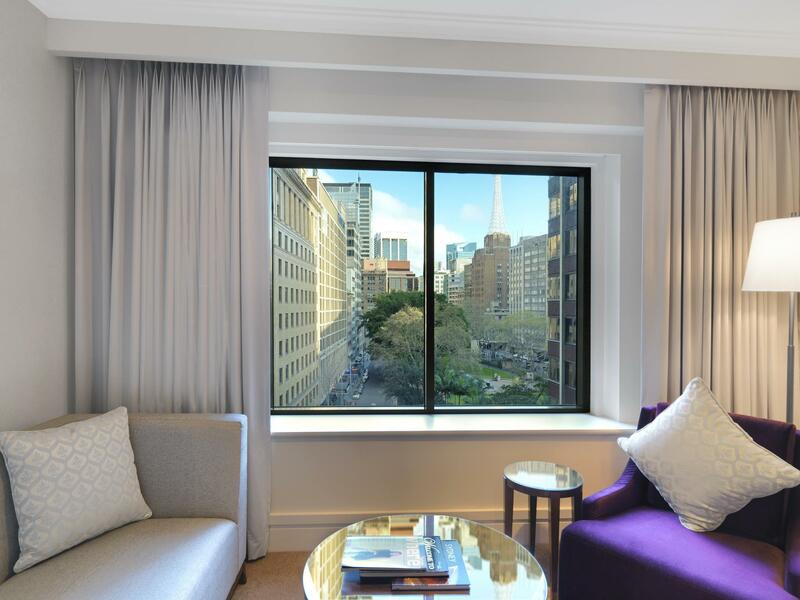 The Amora Jamison is our favourite hotel in Sydney CBD. Always comfortable and clean. Staff are most helpful. 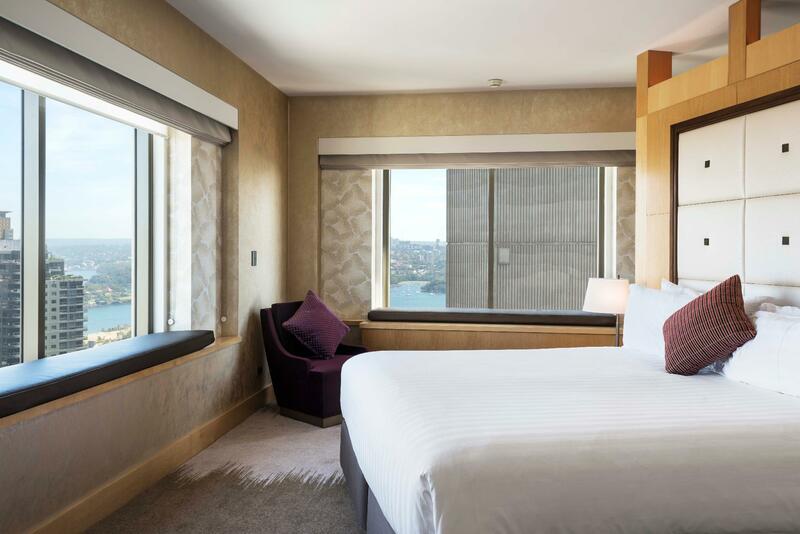 It is an ideal location if you are visiting the Sydney Cove area including the Sydney Opera House or the Rock area. Love it. Right from the moment we pulled up in front of this hotel the service has not once failed so super friendly from every staff member. Our room is super clean and very comfy. Love staying here and will do again. A hugh thank you to all the staff that made this stay a great one. I enjoyed my stay . The location in the CBD is excellent . 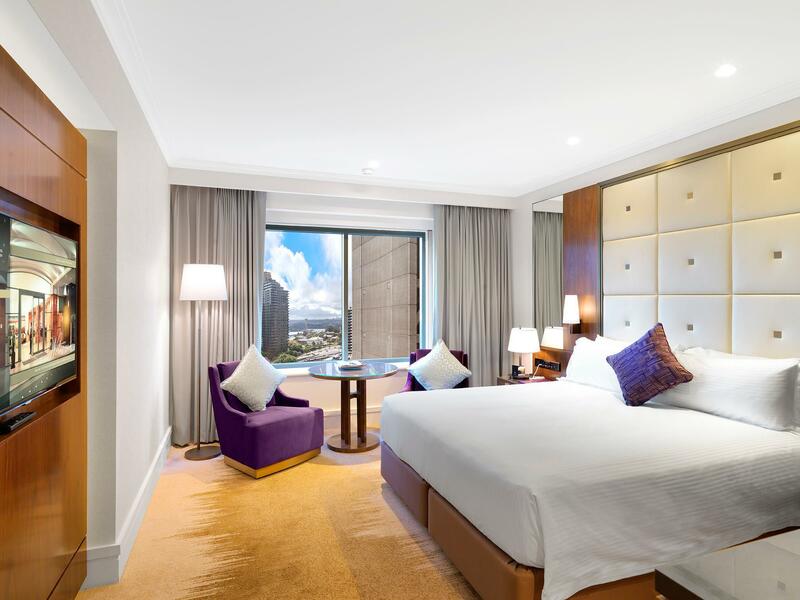 The staff were very helpful and friendly and the room was spacious . I also liked the buffet breakfast . Perhaps it could have included salads ? The pool and spa was great too although the pool temperature .could have been warmer . Overall a first rate hotel . I wish I could have stayed longer . Room was large and comfortable with well stocked minibar. Dinner in the restaurant was excellent, as was the room service food (at 3am I still got an excellent burger and chips, hot!). An easy walk to the main CBD shopping area. Friendly and attentive staff. Good value for money. An enjoyable stay overall and I would stay again.